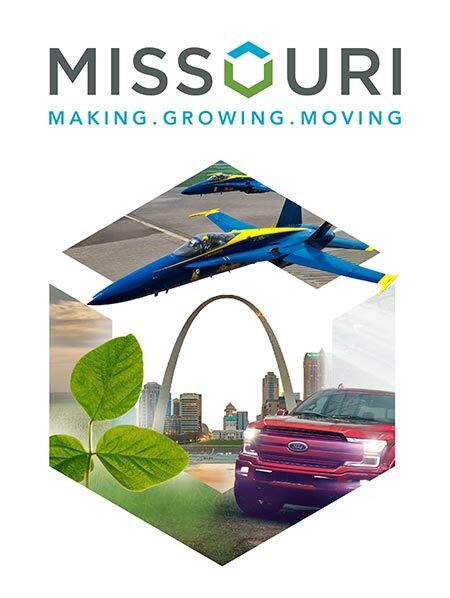 St. Louis is a powerhouse of business activity in the state. Home to Fortune 500 corporate headquarters and 2.2 million people — the region is a leader in agtech, financial services, health innovation, manufacturing, distribution and defense. Sheila Sweeney, CEO of the St. Louis Economic Development Council, says the city has seen several major economic development wins over the last year. The most prominent coming from health giants Pfizer and Centene and the world's largest food and beverage company Nestlé. Pfizer invested $200 million in its Chesterfield, Missouri, R&D facility, where it plans to unify it's regional operations under one roof. Centene, No. 66 on the Fortune 100 and No. 27 on the Fortune 100 list of fastest growing companies, recently expanded its existing Clayton Campus. The expansion includes 1,000 new jobs and $770 million in capital investment. And Nestlé Global N.A. established its North American IT center in St. Louis with a $112-million capital investment and created 300 new jobs. Sweeney notes talent was a major factor in National Geospatial Intelligence Agency's (NGA) decision to invest $1.7 billion to locate its western headquarters in St. Louis has been a boon for the region. The headquarters, just north of downtown, will add 600 employees to its ranks of 3,100 when the facility is completed in 2024. The council has partnered with universities and area schools to help ensure NGA's talent needs will be met both now and into the future. St. Louis colleges and universities graduate 44,000 students every year. "The American Institute for Economic Research named St. Louis as one of the top 15 cities for young college graduates," said Jim Alexander, Sr. Vice President of the St. Louis Regional Chamber. "The best factor was rent, St. Louis ranked No. 1. This really is a college town with a college student population of 200,000 and ranks among the top 10 metros annually for degrees awarded." The region is ideal for distribution companies that are looking to reach a global market. The multimodal logistics industry cluster in St. Louis is made up of nearly 6,500 companies. With four interstate highways, six Class-I railroads, five airports and three major rivers — the Mississippi, Missouri and Illinois — companies can move goods to market quickly.